This chopped asian salad is full of great ingredients that add flavor, texture, color and nutrition! 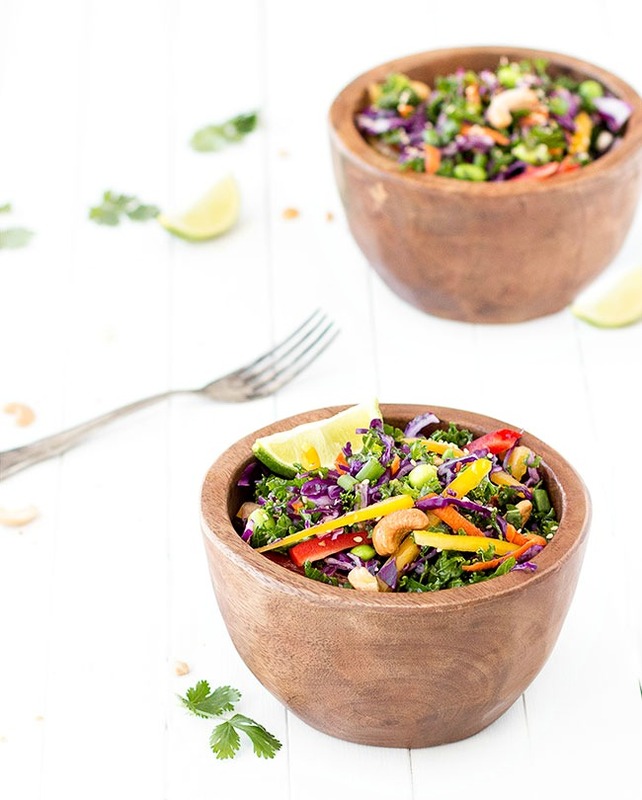 Kale and red cabbage mixed alongside carrots, bell peppers and edamame are tossed in a creamy peanut dressing and then topped with cashew nuts and sesame seeds. Downright delicious! It’s a cheerful, light and healthy salad and it couldn’t be easier to throw together. The ingredients can easily be chopped and prepared ahead of time and mixed up just before serving. It also keeps for ages so if you don’t finish it all at dinner you can take the leftovers for lunch. I used a food processor fitted with a shredding disk to chop the red cabbage and carrots. You can also use a mandolin or a sharp knife (mind your fingers!). To shred the kale, strip the leaves from the stems, stack them on top of one another, roll them up and cut the roll into ribbons. Despite all the wonderful veggies and toppings in this salad, the peanut dressing is my favorite part! It’s creamy with hints of garlic, rice vinegar, sesame oil, soy sauce, sriracha sauce and fresh lime. Simple ingredients,amazing flavor!!! Seriously…look at the colors! Isn’t this chopped asian salad beautiful? Chopped Asian Salad with Peanut Dressing - a healthy salad full of amazing colors, flavors and textures!! 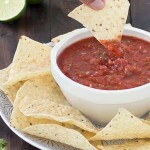 Combine all the dressing ingredients in a food processor and puree until smooth. 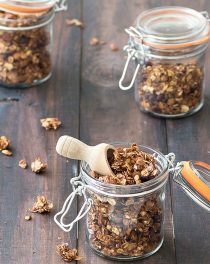 Transfer the peanut dressing to a jar, cover and chill until ready to use. Defrost the edamame, shred and chop all the vegetables. In a large bowl, toss the red cabbage, kale, carrot, bell peppers, cilantro, green onion and edamame. 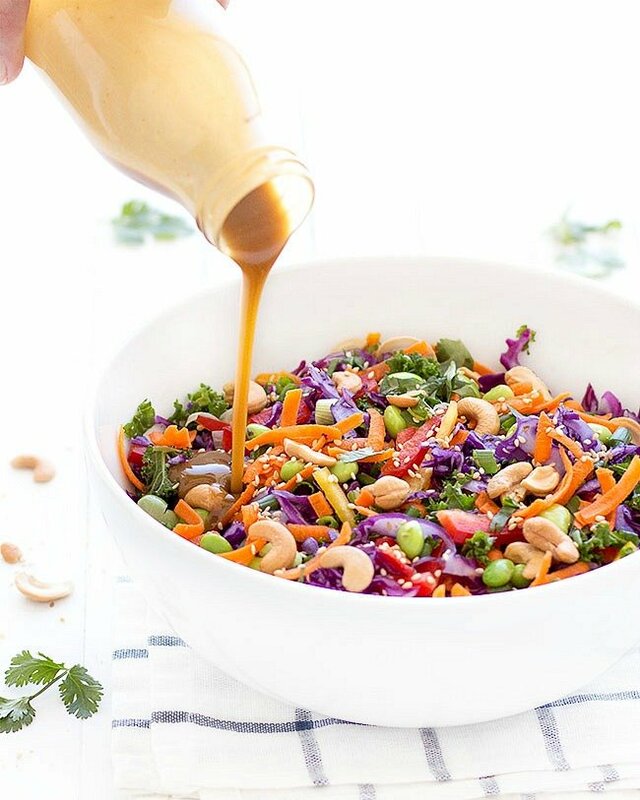 Drizzle the chopped asian salad with the peanut dressing and toss gently. Top with cashew nuts and sprinkle with sesame seeds. This salad is so beautiful!!! I love how bright the colors are. I have some cabbage to use up this week, so I may just have to make this! I love Asian salads like this. And, yours is so pretty with all those colors and textures! Yummy! This salad look delicious and your photos our amazing! What a beautiful salad! A must try for sure. I can seriously hear the crunchiness of this salad! It looks incredible. And since I can drink peanut sauce by the glass (sounds a bit gross but yea, it’s true), I cannot wait to make this salad! 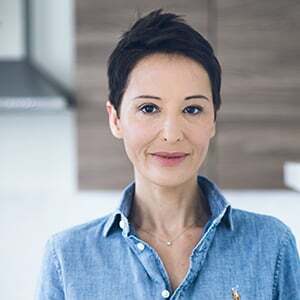 Thank you Anne Marie! 🙂 I hope you will enjoy it! YUM! 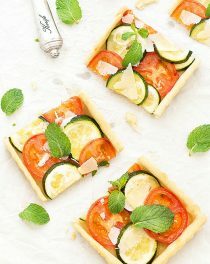 This looks delicious and easy to make! I am always looking for different salad recipes – I feel like I always make the exact same thing. Thank you for sharing – Pinning! That peanut sauce definitely caught my attention! Pinned and stumbled! I want this salad NOW! I Yum’d it! This asian salad looks so fresh, delicious and flavoursome.. I just love all that peanut dressing especially! This salad looks so delicious! I love the combination of crunchy veggies with a creamy dressing. Can’t wait to try it! That salad looks beautiful! I’ve never been brave enough to make a peanut salad dressing at home before, but I’m definitely going to try this one out! Thank your for this great recipe. I loved it! This Salad looks yummy-but I can’t do the Sriracha-so I will leave that out. Has plenty of veggies in it & I just love cashews! This was delicious! I am keeping the salad separate from the dressing so I can eat it all week long. Delicious served with warm brown rice.